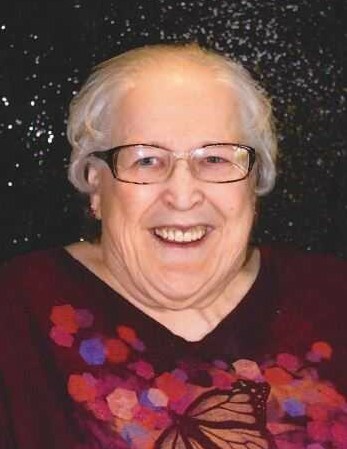 Yvonne Margaret Marweg, 78, of Breckenridge, MN, passed away at the St. Francis Nursing Home on Sunday, February 10, 2019. Visitation will be held from 1:00 p.m. to 1:30 p.m., Thursday, February 14, 2019, at the St. Francis Nursing Home Chapel, Breckenridge, followed immediately by the funeral service at 1:30 p.m. Pastor Mark Manning will be officiating. Arrangements have been entrusted to Joseph Vertin and Sons Funeral Home, Breckenridge. Yvonne was born in Bertha, MN, on June 16, 1940, the daughter to Kenneth and Rosetta (Krosch) Kern. She grew up and attended school in Hewett, MN. After her formal education, she was united in marriage to Wesley Henderson at a church in Fergus Falls, MN, in 1958 and were married for 11 years before Wesley’s passing in 1969. Yvonne enjoyed working for the public school system as a bus driver in Fergus Falls, MN, and she prided herself in consistently arriving to work early. In 1997, Yvonne retired and moved to Breckenridge, MN. She entered St. Francis Nursing Home in 2011 where she has since resided. Family and friends were the centers of Yvonne’s life. She filled her days with crocheting, playing bingo at the Wahpeton/Breckenridge Senior Center, and joining her grandchildren for different activities. The highlight of her week was being surrounded by her family for a Sunday meal at her home. Yvonne’s personality radiated warmth and joy and had a smile that could brighten any room. Yvonne is survived by her children, Duane Henderson of Milbank, SD, Rhonda Watts of Nashville, TN, Marvin (Molly) Henderson of Cottage Grove, MN, Evelyn (Joel) Jensen of Rothsay, MN, and Maxine (Keith Aamot) Lammers of Breckenridge, MN; grandchildren, Tyler (Jamie) Henderson, Caitlin (Micheal) Cockerill, Trevor Henderson, Jerimiah (Holly) Jensen, Natasha Applegate, Miranda Jensen, Rebekka, Maggi (Eric) Anderson, Nick (Dawn) Henderson, Mckenzie (Cody) Brown, Misty (Kimmie) Samuel, Christy (Chad) Brasel, Jessie (Byron) Holland, Mandy (Ryan) Verespie, Angie (Nick) Polo, Shyvonne (John Williams) Fronning, Fred Williams, Sam Williams; 44 great-grandchildren; brother, Doug (Linda) Kern of Elk River, MN; and sister-in-law, Kay Kern of Fargo, ND. She was preceded in death by her husband, Wesley Henderson; parents, Kenneth and Rosetta Kern; brother, Kenneth Keith Kern; grandchild, Shannon Henderson; daughter-in-law,Fayth Henderson; and sons-in-law, David Fronning and Todd Lammers. There's still time to send flowers to the Visitation at the St. Francis Nursing Home Chapel from 1:00 PM to 1:30 PM on February 14, 2019.